SMT ICY63 3.7 GHz - 4.2 GHz Frequency Isolator - Satellite Equipment & Bandwidth - New Era Systems INC.
SMT ICY63 3.7 GHz – 4.2 GHz Frequency Isolator manufactured by SMT of Georgetown Texas. 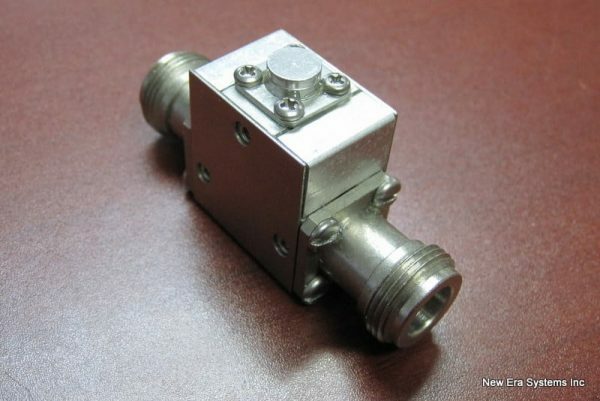 We have a large stock of coaxial connectors for all kinds of satellite equipment. Contact us to help you find what you need for your vsat project! 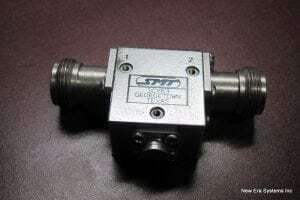 An isolator is a two-port device that transmits microwave or radio frequency power in one direction only. It is used to shield equipment on its input side, from the effects of conditions on its output side; for example, to prevent a microwave source being detuned by a mismatched load. 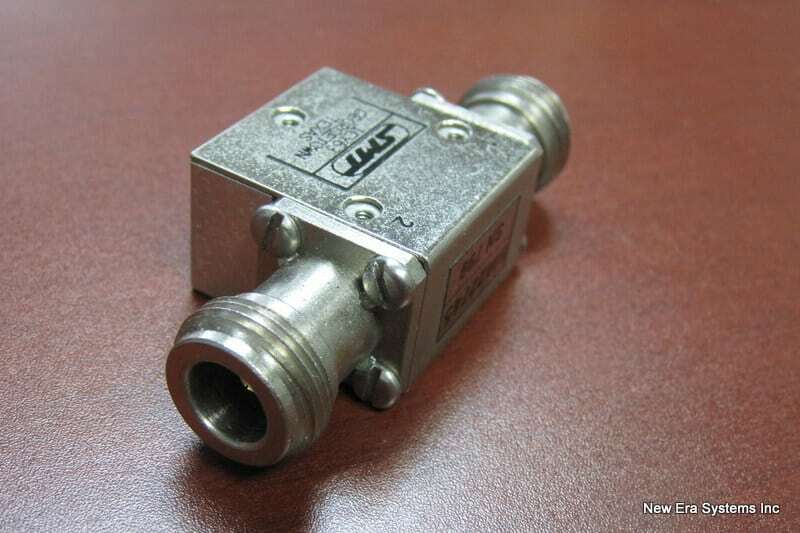 They are particularly valuable where long waveguide runs from the antenna mounted LNA could potentially be damaged if RF is generated by equipment in proximity to the waveguide.